Rebecca "Becky" Brocton joins MageTalk co-host fame by stepping in for Kalen. 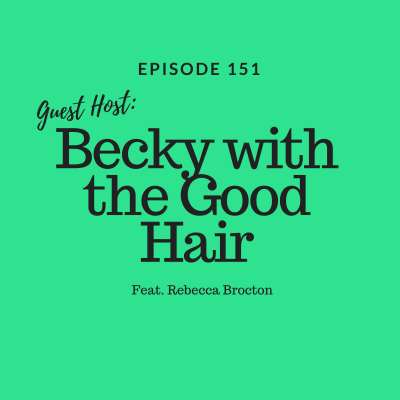 Rebecca “Becky” Brocton joins MageTalk co-host fame by stepping in for Kalen! Phillip soon learns that she can talk as much as him and he’s not getting a word in edgeways! For the opening of this show, Phillip quizzes Rebecca on her new role for JH and what the company is up to in the Magento space. Frontend Developer at JH, Shane Osbourne, recently did a talk at Mage Titans on a B2B app that runs on both iOS and Android, is powered by the APIs made available in Magento 2 and utilises the cutting edge React Native framework. You can find out more about this and watch his talk on the Mage Titans YouTube channel linked to below. The recent Mage Titans event has so much great content coming out, all the talks are up on YouTube for all to enjoy along with Rebeccas #TitanInterviews with some of the attendees who were at the event. A belated Happy Thanksgiving to all those celebrating in the US! The hype for Black Friday & Cyber Monday is building. Try as you may, to implement a no deployments rule for the week working up to these big spend days, you try in vain. Space 48 acquires leading eCommerce agency Meanbee and so massive congratulations to both of them! These two companies have been coopetitioning(?) in the Magento space for a long time and the Meanbee MD, Tom Robertshaw, was actually one of the speakers at the first ever Mage Titans event that they held and Nick Jones, Meanbee’s CTO, is a Titan of Magento industry. It’s an exciting time there for both companies! If you ever have the chance to play beer pong with Rebecca & her wife, don’t. You will lose. MageTestFest got a lot of appreciation from the community and props go to Yireo & Jisse Reitsma for organising the event. Phillip predicts that there will be more development focused events like this and also believes it would be nice to see more online events. When is the best time to plan an event? Bearing in mind budget and planning for companies to attend and sponsor events. Magento has a new functional testing framework! And it’s written entirely in XML documents… it’s had some pretty interesting reviews. Are resumes / CVs dead? Is it all moving to LinkedIn and online resumes? Phillip & Rebecca discuss this subject that Kalen brought up on twitter recently. Will you be at Magento Imagine 2018? We want to see you there! B2B Selco App: Manage your Trade Projects using only your phone! Phillip & Kalen are joined by Tony Brown, Technical Director and Partner at Space48, and Jon Woodall, Managing Director at Space48. 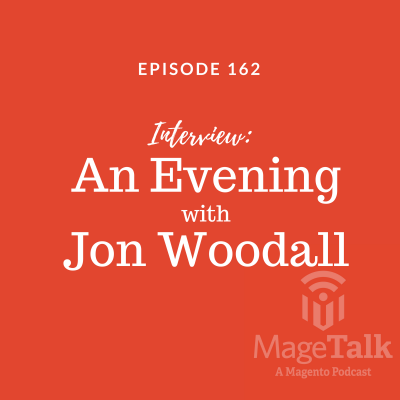 The guys sit with Jon Woodall, discuss MageTitans, Phillip's Ego, and much more. Kalen is out so Ben Marks and Sherrie Rohde join Phillip to talk Magento Masters and more. Mage Titans review is in – big hit! Sounds like a great new conference is here in the Magento Community! Phillip reviews Magento Live Germany 2014. Thanks to DX3webs for setting up a demo HHVM box to test against.